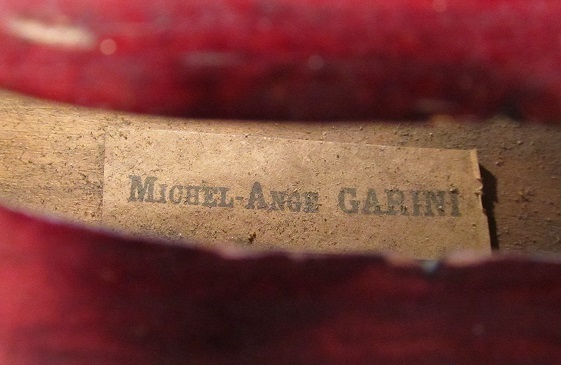 This Mirecourt violin was made in the early to mid 20th Century, and is labelled Michel-Ange Garini, which is one of the brand names used by the JTL company. 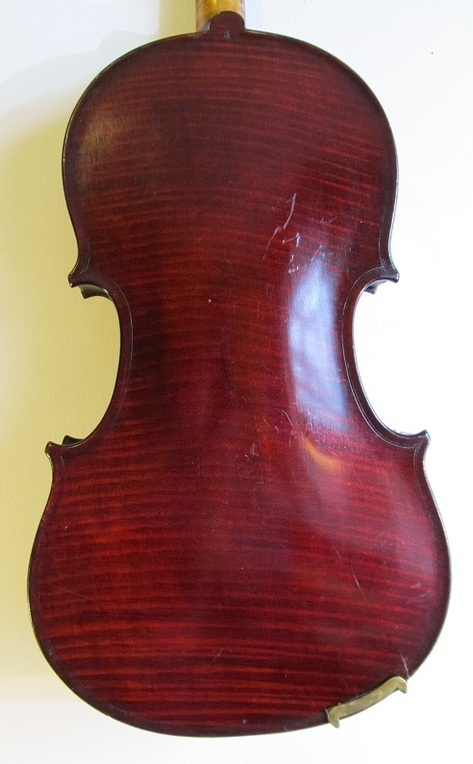 It is a very attractive instrument, with dark, ox-blood varnish and strong flame marks on the back. 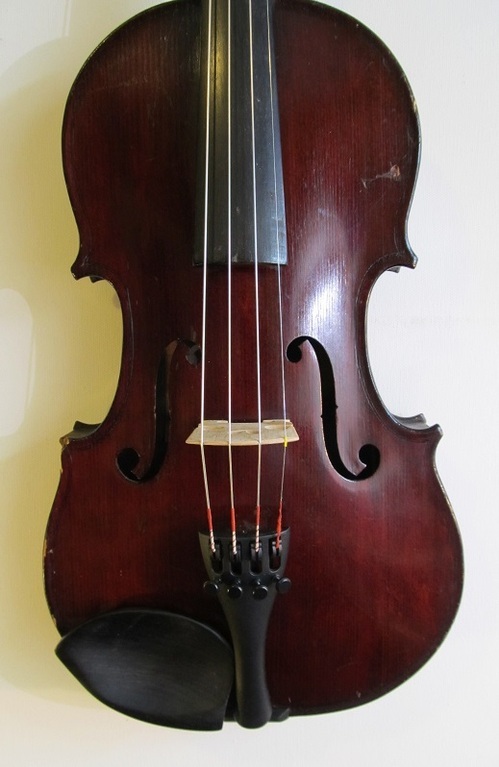 This flame, however, is painted and the purfling is scratched on, not inlaid, which puts the instrument into the same kind of category as the Medio Fino fiddles. The sound is similar to them, too, rich and warm, slightly dark. This one is a little smaller than a three-quarter size, officially five-eighths. It would suit a young player moving up from a quarter or a half, and would probably last until they were ready for a full size. Condition: No cracks or repairs, but a couple of knocks, including one to a corner. They are only cosmetic, but I have lowered the price to take account of them. Set-up: New ebony pegs, new bridge and soundpost. 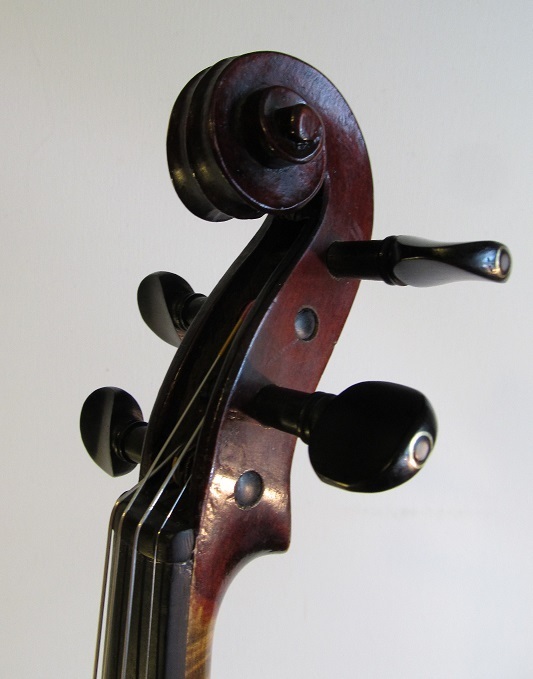 Wittner tailpiece and Tonica strings.